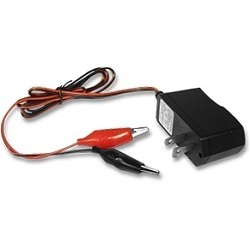 AGM, 12V, 9.0AH L- 5.94 W- 2.56 H- 3.66 Terminal Type: T1/T2. 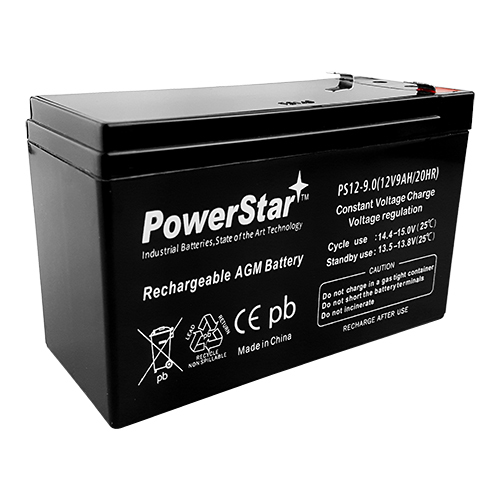 Your old batteries may be 7Ah or 7.5Ah, PowerStar has increased the capacity thru Advanced AGM technology. Dont just replace, improve and increase capacity and performance. PowerStar® Brand batteries are offered Exclusively by BatteryJack Inc.
FITS- APC AP330, APC AP330XT+, APC AP360, APC AP360SX, APC AP600, APC Back UPS 250B, APC Back UPS 280B, APC Back UPS 300, APC Back UPS 350, APC Back UPS 400, APC Back UPS 400B, APC Back UPS 500, APC Back UPS 500M, APC Back UPS Pro 280, APC Back UPS Pro 2801PNP, APC Back UPS Pro 280B, APC Back UPS Pro 280C, APC Back UPS Pro 280PNP, APC Back UPS Pro 280S, APC Back UPS Pro 280SX116, APC Back UPS Pro 350, APC Back UPS Pro 350U, APC Back UPS Pro 420, APC Back UPS Pro 4201PNP, APC Back UPS Pro 420C, APC Back UPS Pro 420PNP, APC Back UPS Pro 420S, APC Back UPS Pro 500, APC Back UPS Pro 500CLR, APC Back UPS Pro 500U, APC Back UPS Pro 500UC, APC BackUPS 200 version, APC BackUPS 200B version, APC BackUPS 250B, APC BackUPS 280, APC BackUPS 280B, APC BackUPS 300, APC BackUPS 400, APC BackUPS 400B, APC BackUPS 500M, APC BackUPS 500MC, APC BackUPS 700UC, APC BackUPS CS350, APC BackUPS CS500, APC BackUPS Pro 280, APC BackUPS Pro 280BPNP, APC BackUPS Pro 280C, APC BackUPS Pro 280PNP, APC BackUPS Pro 280S, APC BackUPS Pro 350 USB, APC BackUPS Pro 350U, APC BackUPS Pro 420, APC BackUPS Pro 420C, APC BackUPS Pro 420PNP, APC BackUPS Pro 420S, APC BackUPS Pro 500CLR, APC BackUPS Pro 500U, APC PCPER, APC PCPRO APC Personal Powercell, APC PowerCell Personal, APC PowerCell Professional, APC Pro 350 USB, APC Professional PowerCell, APC Smart UPS 420NET, APC Smart UPS 420VS, APC Smart UPS VS420, APC SmartUPS 420, APC SmartUPS 420NET, APC SmartUPS 600LS, APC SmartUPS VS420, APC SP500DR, AT&T 500VA, AT&T 515, AT&T AT-500, Best Technologies Fortress 1020, Best Technologies Fortress 1050, Best Technologies Fortress 1422, Best Technologies Fortress 1425, Best Technologies LI-660VA, Best Technologies Patriot 280, Best Technologies Patriot 420, Best Technologies Patriot 600, Best Technologies Patriot Pro 2, Best Technologies SPS450, CyberPower Systems CPS500SL, CyberPower Systems CPS650SL, CyberPower Systems Office Power CPS700AVR, CyberPower Systems Office Power CPS900AVR, Easy Options 400VA, EFI LanGuard 600,EFI LanGuard 675, EPD Grizzly 300VRS, E, D Grizzly 500, EPD Grizzly 500VRS, EPE Technologies Integrity IS-1122/11 TS, Exide OneUPS, Fenex FX2002, Fenton Technologies PowerOn H010K, Fenton Technologies PowerOn H3500, Fenton Technologies PowerOn H4000, Fenton Technologies PowerOn H5500, Fenton Technologies PowerOn H6000, Fenton Technologies PowerOn H8000, Fenton Technologies PowerPal L425, Fenton Technologies PowerPure M1000, Fenton Technologies PowerPure M2000, Fenton Technologies PowerPure M3000, General Power GPS5006, HP PowerWise 2100, HP PowerWise L900, Leadman UPS300, Leadman UPS500, Merich 350, Merich 450, Merich 450C, Merich 850C, MGE ES8+ MGE ESV13, OneAC ON600A, OneAC ON900A, Opti 280e, Opti 420E, Para Systems A750, Para Systems Minuteman 1000, Para Systems Minuteman 250, Para Systems Minuteman 3000CP, Para Systems Minuteman 300SS, Para Systems Minuteman 450, Para Systems Minuteman 600, Para Systems Minuteman 600SS, Para Systems Minuteman 900SS, Para Systems MinuteMan AT650, Para Systems MinuteMan PLM1250, Safe 650, Safe SM650, Sola 310A, Sola 510, Sola 900VA, Triad UPS600, TrippLite 450, TrippLite BC Pers420, TrippLite BC300 Internet, TrippLite BC325A, TrippLite BC3348, TrippLite BC400 Standby UPS, TrippLite BC420, TrippLite BC450, TrippLite BC500, TrippLite BC500 Internet, TrippLite BC500 LAN, TrippLite BC675, TrippLite BCINTERNET450, TrippLite BCINTERNET500, TrippLite BCINTERNET550, TrippLite BCPERS450, TrippLite BCPro 1400, TrippLite BCPRO1400, TrippLite CP 350, TrippLite Internet BC300 Internet, TrippLite Internet BC500 Internet, TrippLite Internet Office 500, TrippLite Office 500, TrippLite OM1995, TrippLite OmniPro 1400, TrippLite OmniPro 850, TrippLite OmniSmart 450, TrippLite Smart 400, TrippLite Smart 500, TrippLite TE1200, TrippLite TE700, Unison PS6, Upsonic Might 35, Upsonic PC Mate 55, Upsonic Station 140A, Zapotek RX-510N. Does not include wiring harness, save and re-use existing wiring harness. SPECIAL NOTE: The Back UPS 500 Requires a different battery then the BACK UPS OFFICE 500 Batteries. 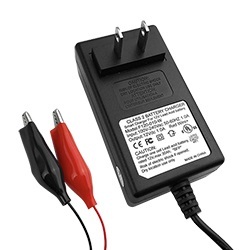 If you have a Back-UPS OFFICE 500 (BF500) Please click here to purchase the correct battery.